Your RV battery is a relatively small component, size-wise, but it has a big impact on how far you can go—and what you can do when you get there. Knowing how batteries work, and how to maintain them, will help extend the life of your batteries, saving you money and time. A working battery will also help make RV camping more enjoyable in the process. Here, we’re giving you an overview of basic RV battery information and maintenance tips. As always, when in doubt, your best source of detailed information on your RV and its parts is your owner’s manual. What does the RV battery do? Your battery is essentially a storage device for electrical energy. When the battery is depleted, it needs to be recharged. A well charged and maintained battery is critical for proper operation of the appliances and features within your RV. A battery that is not well charged and maintained can cause intermittent failure of operation with most of the 12V components in your recreational vehicle. How do I choose a battery for my RV? We recommend an RV/Marine Deep Cycle battery for our applications. However, before you select your battery, define your camping needs thoroughly. For example, if you will typically camp with access to 120V to plug in the shoreline cord, a standard deep cycle battery should suffice. If you will be camping without access to 120V and will rely heavily on the battery to run the many features in your RV, you need to consider a deep cycle battery that has considerable amperage available. Or, consider installing two batteries for your needs. It’s important to know how many amps you’re using in your RV’s 30- or 50-amp electrical system. Amps add up quickly, causing your RV’s breaker, or the RV park’s breaker, to trip, leaving you with no electricity. As you can see, if you get up in the morning and start a pot of coffee, turn on the air conditioner, pop some bread into the toaster, and start drying your hair all while the electric water heater is on, you can quickly max out on amps. Note: Most RVs have a switch so you can run only the microwave or the water heater at one time, but some do not, so get to know your RV and plan accordingly. Most electrical appliances will list how many watts or amps it takes to run on the appliance itself or in the instructions. If it shows the watts, divide the watts by 120 (volts) to get the number of amps. To get the watts, multiply the amps by 120. It’s worth it to inventory your appliances’ amps so you can manage your total usage and avoid electrical outages. How do I make sure my battery has power and will work properly? First, make sure you follow the battery’s charging and maintenance instructions closely. 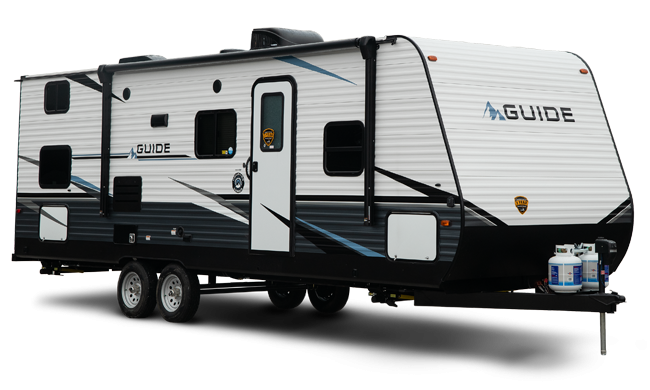 A Dutchmen RV (and most others) will charge your RV battery when plugged into the tow vehicle and when the shoreline cord is plugged into a 120V power source. One way to check your battery charge is to view the dashboard monitor panel when your RV is not plugged into an electrical outlet to see the power level. Then, while still unplugged, turn on a couple of lights and check the panel again to see how a small load affects the level. Another way to check is via a voltage test. Turn on your voltmeter, select DC voltage, and open the hood of your RV. Touch the voltmeter's red lead to the positive terminal on your battery. Place the black lead on your battery's negative terminal. Read your screen or indicator (if your meter isn't digital). A 12-volt battery should read between 12.5 and 12.7 volts when it isn't being used. (A 6-volt battery should read between 6.25 and 6.35 volts). Anything less than 12.5 (or 6.35 volts) indicates your battery needs to be charged or replaced if its charge depletes quickly. You can also have your RV battery tested at an auto store. Inspect your battery and battery compartment regularly, but especially before a long trip. Check all the connections, looking for loose or frayed wires, battery acid build-up or spillage, and cracks in the case. If you spot any of these red flags, take steps to repair or replace. Make sure your connectors are tight and free of oxidation. Check the battery charge. Try not to let the charge go below 50%, but if it does, charge the battery right away. Check fluid levels and refill and cells that are low with distilled water. To do this, locate the removable caps on the top of the battery and take them off. The fluid level should always be above the lead plates inside the battery to prevent damage. Keep the temperature of your location in mind, as temperature affects battery performance and lifespan. Higher temperatures increase a battery’s storage capacity but decrease longevity. Lower temperatures prolong the battery’s life but decrease its performance. Clean the battery terminals to remove corrosion. Do I need to worry about the battery in the off-season? Yes. If you store your recreation vehicle for a long period of time, you should take steps to preserve your battery. 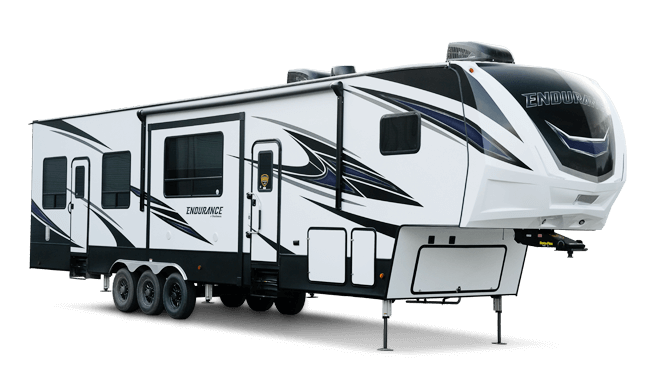 Even if the RV is just sitting there, the batteries will discharge over time, and you could discover a dead or dying battery when you’re ready to take your RV out again. 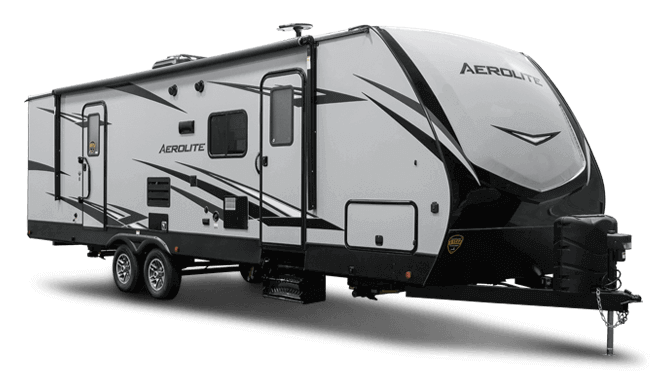 Many RV owners choose to remove the batteries before leaving their rig in storage. This way, you can store them somewhere they won’t freeze, check the charge every so often and charge them as necessary, as well as clean them, and add water if needed. Always follow your owner’s manual instructions for how to remove and store your RV batteries. Others prefer to leave the battery in and run the rig’s system every 30 days and plug them into shore power for several hours to top off the charge. If this method works better for you, you should still clean the battery and check all the connections and fluid before storing. With this information, your owner’s manual, and a little preventative care, you can better avoid most battery-related problems with your RV. That means more time enjoying life on the road! Share your tips for RV maintenance with us and other RVers on the Dutchmen Facebook page, where you’ll also find the latest RV news. And follow our Instagram account, @dutchmenrvcompany, for updates about our family of Dutchmen RV owners.